Have you ever thought about what your life would look like if you took guns out of it? Not the whole philosophical argument about guns never being invented, the effects on the history of warfare in a global sense, or the government abolishing our Second Amendment rights. I’m saying YOUR life minus guns. For many of you, not much would change, but for others, your life would look a whole lot different – a whole lot less. He knew he probably had the sweetest gun on the mountain! Man card moment! 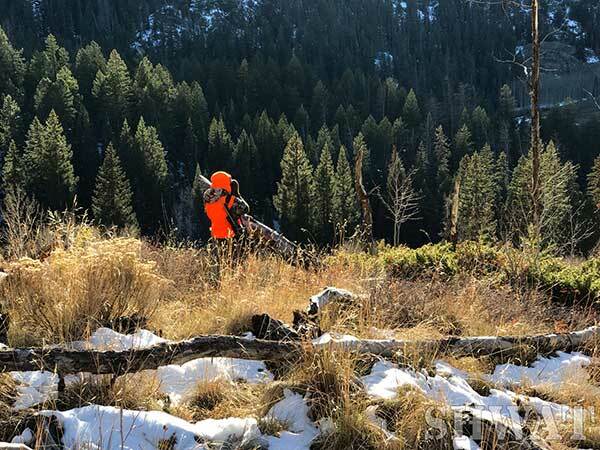 I recently had the opportunity to take my 12-year-old son on his first rifle hunt. He had been counting down to this hunt since March. He had a beautiful Remington Model Seven (full review coming soon), first season elk tag and all the naïve optimism that could fit inside his 103-pound body. 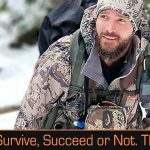 Life and circumstances narrowed our 5-day hunt to a 2 ½ day hunt. Nonetheless, we were determined to make the most of what time we had. Geared out, suited up and ready for whatever excitement the high country had to offer, we hit the trail. I’ll save you the misery of overplayed suspense and simply tell you, no, he didn’t kill anything. Mother nature saw to it that our exceptional first day chasing a beautiful bull was countered by a blizzard ridden second day wherein visibility was nil and temperatures where unbearable. Our third day was a race against the clock as our schedule demanded we were off the hill by eleven o’clock. Though the blizzard had ended, the ground was covered with 2 feet of fresh powder and temperatures were dancing in the single digits which meant that the elk were waiting for it to warm up a twinkle before emerging from their cozy timbered fortress later in the day (an occasion we were not privileged to experience). All this was topped off by a circus of out-of-state hunters saturating the mountain in blaze orange like a well-lit Christmas tree. Our A, B, C and D scouted areas where all completely invaded. By opening morning, the elk had been bumped around worse than a pinball in an over-used machine. …what an incredible time we had! The mountains, the breathtaking scenery, the conversations that only the wilderness seems to provoke, even the misery of the cold and frustration of unforeseen challenges, it was all incredible. And all made possible by the Creedmoor 6.5 Remington Model Seven slung across the bony shoulder of a wide-eyed kid anxious to make his mark on the world. That gun was our ticket to a lifelong memory filled with disappointment and awe. That gun was our passport to the world of hunting. That gun was the facilitator of our adventure! Okay, maybe I was, but don’t tell him! What about you? Are you facilitating life’s greatest adventures for a young person? The rewards are priceless! This entry was posted in ALTITUDE SICKNESS - keep. pushing. higher. 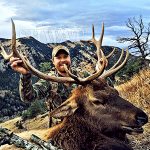 - Amy Rutzen and tagged Colorado, Elk, Hunting, Public Land Hunting, Remington by Amy Rutzen. Bookmark the permalink. Incredible article about a first time hunting experience and the memories that are made! !